ACT BY 15 JANUARY TO HELP PREVENT HOOK BEING SWAMPED BY HOUSING. 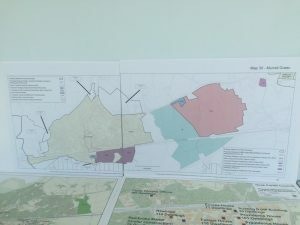 YOUR RESPONSE TO HART’S HOUSING CONSULTATION IS IMPORTANT! By now every household should have received a flyer from Hart District Council telling them how to respond to the Local Plan Housing Options survey. If you haven’t responded yet, you have until 15 January 2016 – it is very important that we make Hook’s voice heard. The flyer will tell you how to submit your views online (at hart.gov.uk/local-plan-consultation), but if you need a paper copy of the response form just contact the Parish Council office or pick up a copy at Trees Newsagents. Every member of each household is entitled to vote, and every vote counts. Not only would this be bad news for Hook, it may well be a poor long-term choice for Hart. It could well lead to most of Hart’s settlements joining together in a ring around the undeveloped area of Winchfield. This would keep a nice green heart to Hart, but only at the expense of places like Hook. However, if Winchfield does go ahead, these major developments are unlikely to be necessary. If you look at the map you will see that a few of the Winchfield sites are actually just over the boundary in Hook Parish, but are some distance from the logical centre of the new settlement. If and when they are developed they will be part of Winchfield and should not put pressure on Hook’s facilities. Q5 – if we need to combine more than one Approach, which should we choose? In addition, we will also be reminding Hart just how much development Hook has already been allocated, and why it would be unreasonable to expect us to take many more. This is in line with the draft response from both Hook Action Against Over-development and theHook Neighbourhood Plan Steering Group. None of these groups has strong opinions on the answers to the other questions as they are unlikely to have a great effect on Hook. Though all of them expect to provide responses, it’s probably more useful for each person to feed their own opinions back to Hart. Obviously everybody is free to answer questions 4 and 5 in any way they like, but we feel that the priority order given above will be most beneficial to both Hook – and the whole of Hart – in the long-run.
. Bear in mind that the offices will be shut between Christmas and New Year. As part of the preparation process the Council is consulting on a Housing Development Options Paper and accompanying Sustainability Appraisal. The documents can be viewed at www.hart.gov.uk/local-plan along with a housing options summary paper, a summary leaflet and a response form. 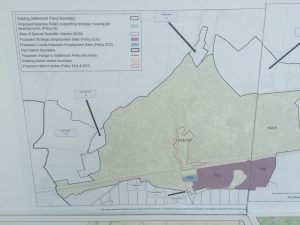 The planning application for the Hop Garden Road / Owens Farm proposal is currently expected to be considered by Hart’s Development Control Committee during the summer. The plans for the major North East Hook site will probably not come forward before the autumn. Tesco have withdrawn their application to build an enlarged store on the current Rawlings Transport site adjacent to their current store in Station Road. There will be an opportunity to view the full size plans on Saturday 26th April 2014 between 10:00 and 17:30 at Basingstoke Country Hotel. The site is referred to as: Land To The North Of, London Road, Hook, Hampshire. associated landscaping, infrastructure and earthworks. Hook Parish Council’s Planning Committee will consider the application on 7th May 2014. Please feel free to forward the poster to interested parties, or to print and display it. We are advised that a planning application has been received by Hart District Council for the main North East Hook site. 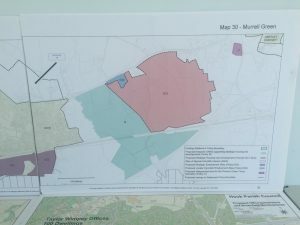 Hart’s planning officers will now validate it – that is, they will check that all the appropriate information has been included and the correct fees paid. Once that has been done it will be offered for public consultation and comments. How does Government Planning Policy influence decision making on current development proposals for Hook? will be speaking on the Government perspective, respond to the many emails sent by residents and explain what they are going to do about these problems. Representatives of Hart District Council will also present the planning perspective. There will be an opportunity to ask the speakers questions. Come to the Woodland Suite, Basingstoke Country Hotel to hear more. Download the poster and display it to help publicise the meeting.